Dakota Traffic Services is the area’s most experienced traffic control and pavement marking contractor. They are a construction company with the latest technologies and equipment servicing most of South Dakota, and much of Iowa, Minnesota, and Nebraska. They wanted a website that would show off their portfolio, and be a good resource for prospective clients. 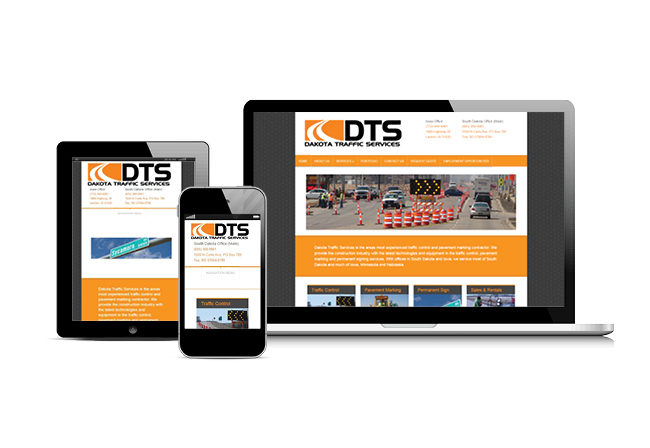 The Dakota Traffic Services Website features an informative design, with easy access to contact information for their two offices, an easy-to-add gallery, and a fully responsive mobile-ready layout.